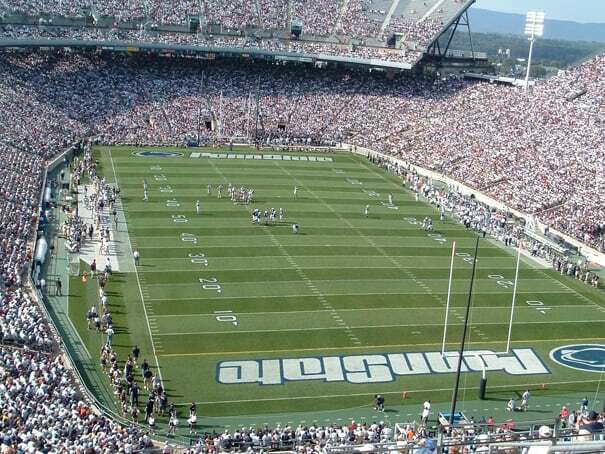 Home of JoPa and named after beavers, this massive stadium (second largest in the country) is the Nittany Lions' den and known to host one of the best student sections in college sports, which is augmented by the ginormity of the place. On game day, all of State College seems to funnel in and out of the massive tailgates that go for miles around the stadium. And yes, we know it's not actually named after beavers (it's named after a Beaver), but that's our story and we're sticking to it.